We discovered this new hill in Wellington the other day, in Wadestown, "Weld St" . Dang it was steep... you cant tell from the photos, but I felt ill riding up it, as short as it was. 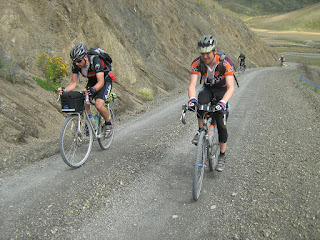 The last photo is from out near Makara beach. Much less steep, and more scenic. I'm so glad I found your blog. 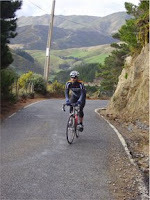 I recently went on a New Zealand Bike Tour and loved it. I am officially a cycling enthusiast now!